Azerbaijan And Russia Boost Cooperation As Balance Of Power Is Slowly Shifting In South Caucasus 5.1 out of 5 based on 10 ratings. 10 user reviews. On September 1, Azerbaijani President Ilham Aliyev visited Russia for talks with his Russian counterpart Vladimir Putin. The sides discussed efforts to settle the Nagorno-Karabakh crisis between Azerbaijan and Armenia, the regional security in general and the military and economic cooperation. “We discussed further cooperation in the military-technical sphere. It has great traditions. The cost of the military-technical products purchased by Azerbaijan from Russia exceeds $5 bln, and this tends to grow,” Aliyev said following the talks. Some Azerbaijani and Russian experts also speculated that Moscow and Baku are going to boost their cooperation in the framework of the Collective Security Treaty Organization (CSTO). However, this was not an agenda of the Putin-Aliev talks, at least on an officially. As we reported in our previous analysis on the situation in the region entitled “Crisis in Armenia and Balance of Power in South Caucasus“, the regional balance of power has started slowly shitfting because of a successful regime change in Armenia and the improvement of the relations between Russia and Turkey as well as Iran and Turkey. This also impacts positively the relations between Moscow and Baku. Furthermore, the relations between Russia and Azerbaijan may get an additional impulse, especially if the new “democratic” Armenian government develops a pro-US course actively. Russia has been for a long time the only real guarantor of the status quo in the Nagorno Karabakh region because Armenia itself has not enough resources to oppose a large-scale Azerbaijani military operation to take back this contensted region. At the same time, the role of Georgia, which is a public sattelite state of the US, in the region has dicreased signficantly. Most of its regional politics are just moves made to defend the US influence in the region. Sounds like the armenians are getting set up for another genocide. Set up by the racist supremacist global Jewish confederate slave empire dictatorship. 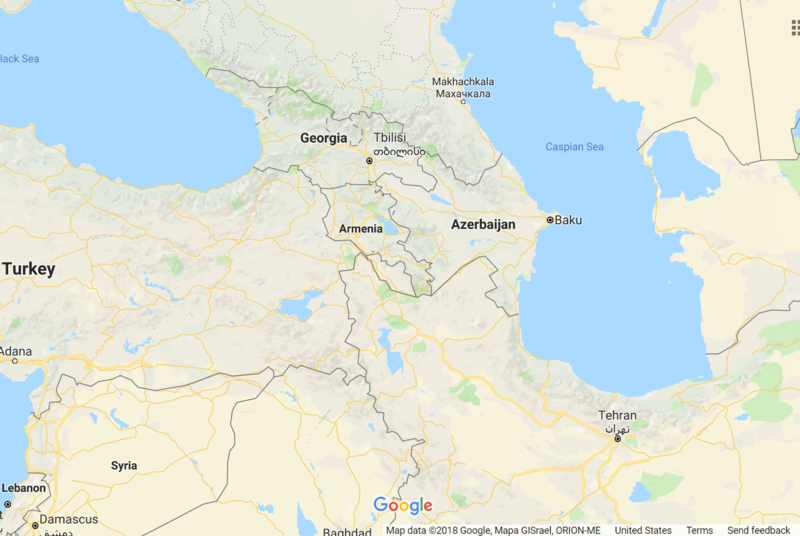 Nah – previously after Turkey shot down the Russian Su-24 over Syria (in NATO ambush) Russia deployed a squadron of up-rated Mig-29s to their air base in Armenia at Erebuni – located right on Turkey’s eastern flank. These things don’t go unnoticed by the regional neighbors – ie Azerbaijani (who have long term border conflict with Armenia) – who are suddenly way more friendly. Everyone wants to be on the winning side. Good comment that reinforces my view. Please correct me if wrong, but didn’t the Yankers try and “take over” / “gain influence” in Azerbaijan” ?. That appears to be another US geo-strategy imperative. As set in stone Cold War warriors the Pentagon seem to always back Muslim states/factions against any Orthodox states – they just cannot help themselves. To my knowledge, Azerbaijani was winging towards the US whilst Armenia was still with Russia; This article gives hope. Aliyev could be Erdo’s twin! This is a positive development. It should improve Russia’s access to the middle east in terms of being able to move military and economic supplies and equipment to the middle east. And strengthen Azerbaijan’s economy and infrastructure.